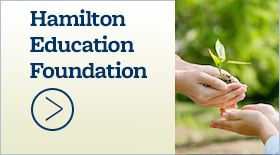 Profile of Hamilton High School - Hamilton School District. Located west of Milwaukee in northern Waukesha County, the Hamilton School District covers about 35 square miles, has about 25,000 residents and serves 4,860 students. The district serves six municipalities – the villages of Sussex, Menomonee Falls, Lannon and Butler, the town of Lisbon and the city of Pewaukee. Carroll University, UW-Waukesha Center and Waukesha County Technical College are within 10 miles of the district. The district consists of one high school, one middle school and four elementary schools and one early childhood center for it 4-year-old kindergarten program utilizing a K–5, 6–8, 9–2 grade-level configuration. The student body is 83% white, 5.6% Asian, 4.9% Hispanic, 2.6% African, 3.2% two or more races, 0.3% American Indian, Alaskan and 0.1% Hawaiian, Pacific Islander. 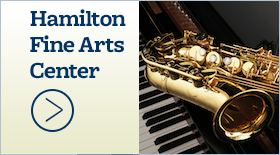 Hamilton High School is a comprehensive four-year public high school enrolling 1,475 students in grades 9–12. The school opened in 1962 to freshman and sophomores and each consecutive year, a class was added until the first senior class graduated in the spring of 1965. 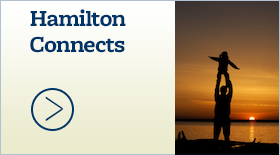 Hamilton High School is accredited by the North Central Association of Secondary Schools and holds membership in the College Board and the National Association for College Admission Counseling. Using a block schedule, classes meet for 83 minutes with one shortened hour allotted to an advisement and resource hour that replaces study halls and the old home room concept. By nearly doubling the class period, students finish a yearlong course in one semester. These AP® courses are offered: Art History, Biology, Calculus AB and BC, Chemistry, English Language and Composition, English Literature and Composition, European History, Government and Politics: United States, Government and Politics: Comparative, Physics B, Statistics, United States History and World History. AP world language and culture courses offered include Chinese, French, German and Spanish as well as Spanish Literature. AP is an open-enrollment program. 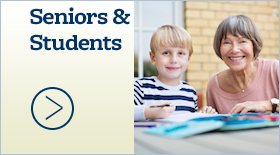 Honors classes are offered in English II, Algebra II and Elementary Functions. The Area Vocational & College Programs (AVCP) enables juniors and seniors to enroll in freshmen courses and earn college credits at local institutions of higher education. GPA is computed using the above quality points. Beginning with grade nine, all subjects, whether passed or failed, are included in the computation. A minimum of 48 credits is required for graduation. AP and Honors classes are weighted by one point. Grades are recorded on the transcript and GPA is computed in January and May. There were ??? graduates in the Class of 2017.